After passing over the rather fine Fossgate Bridge down on the right is St Denys Road. 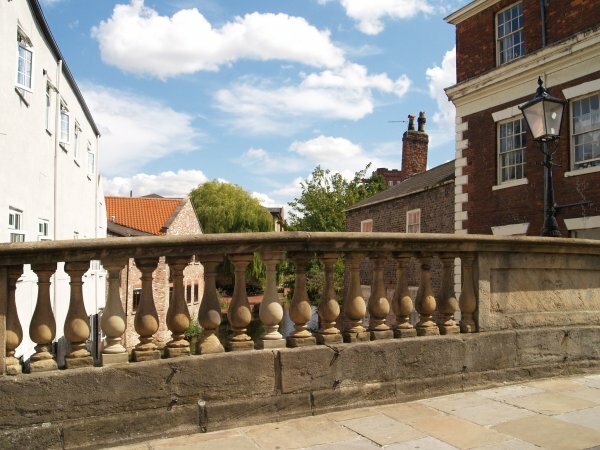 Foss Bridge was built to a design of Peter Atkinson in 1811-1812 and has some fine stone balusters. 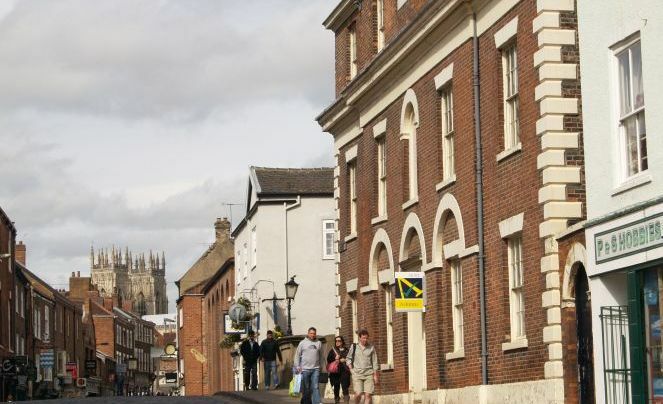 There are some fine houses on Fossgate. 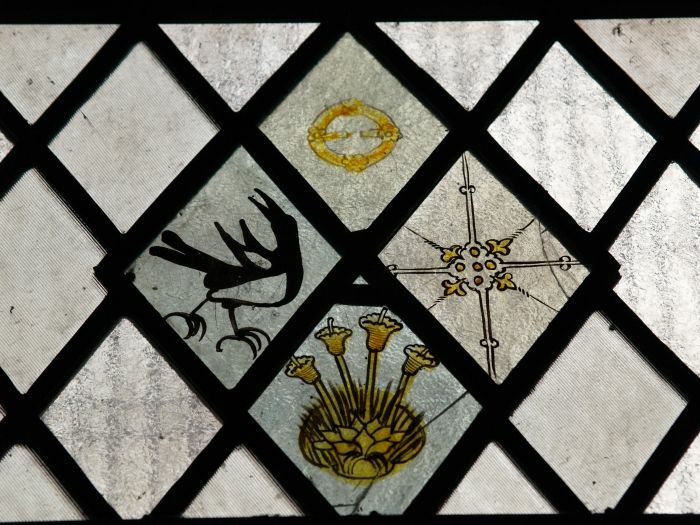 particularly the medieval stained glass! 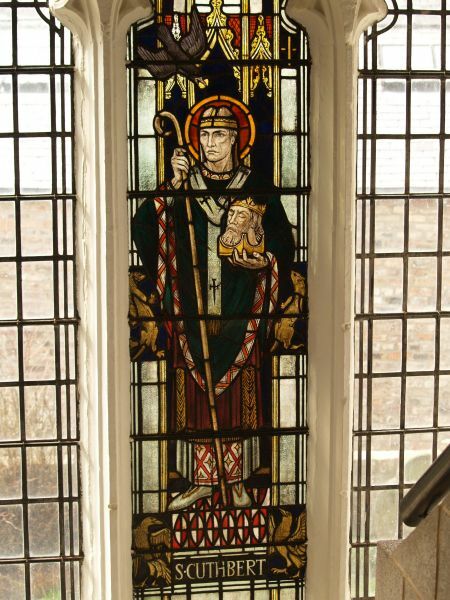 St Denys was a Christian missionary bishop who was beheaded by the Romans in AD 258 at a place now known as Montmartre ('Martyr's Hill') in Paris. 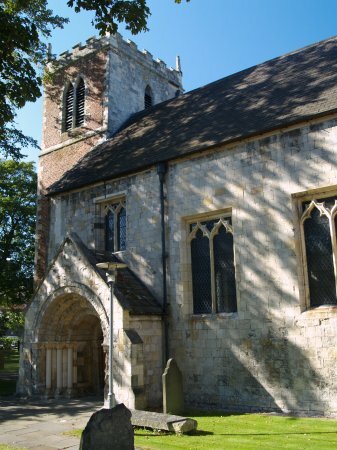 St Denys Church, west tower and the grand south door entrance. 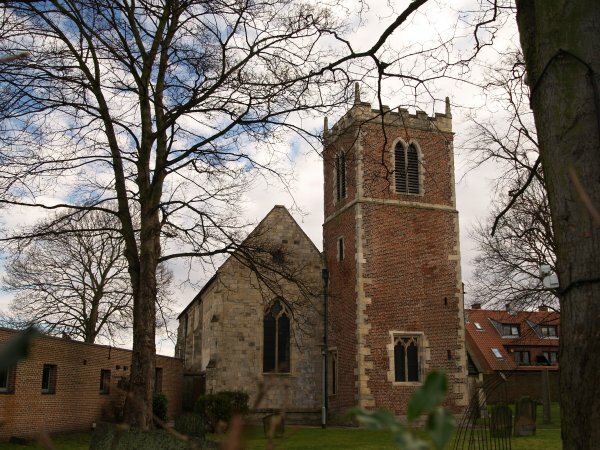 St Denys was first mentioned in the late 11th century but what you see today is essentially the east end of a great medieval church, in other words, the original church was three or four times bigger that survives! 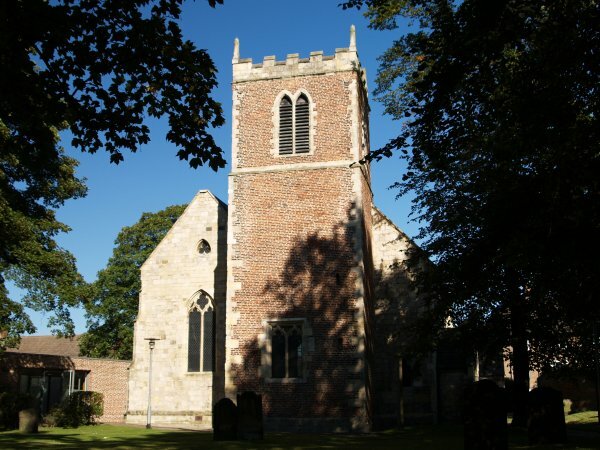 The north (left) and south (right) aisles, and despite looking medieval, the tower was taken down and re-built in 1846-1847 mainly because the west wall collapsed in 1797 during drainage excavations! 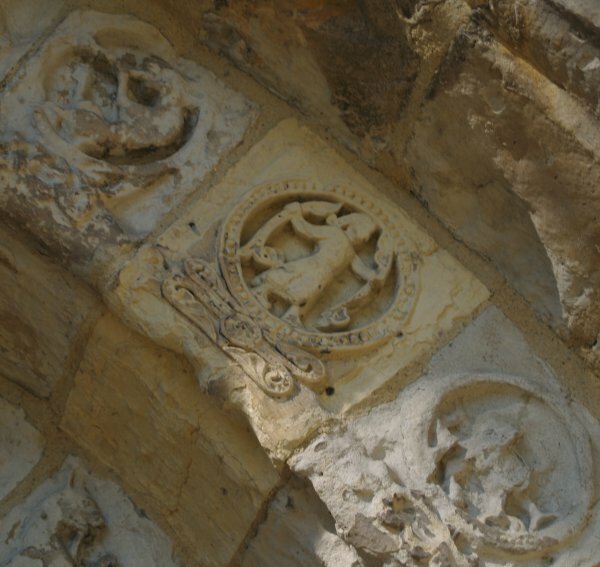 but most of the surviving building dates from the mid-14th century. 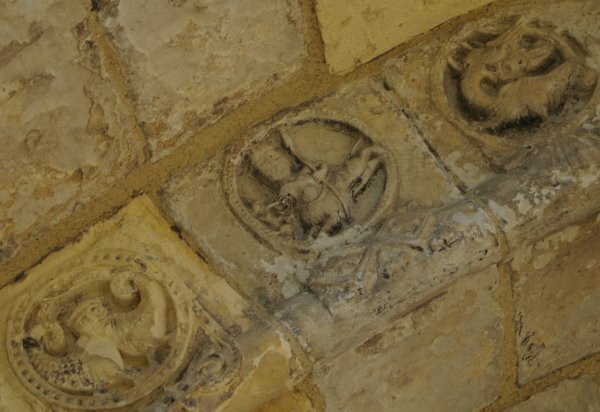 The ends of the north aisle, central aisle and north aisle of St Denys. 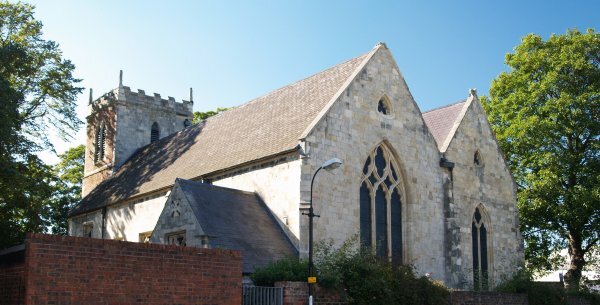 The original nave has long since gone. 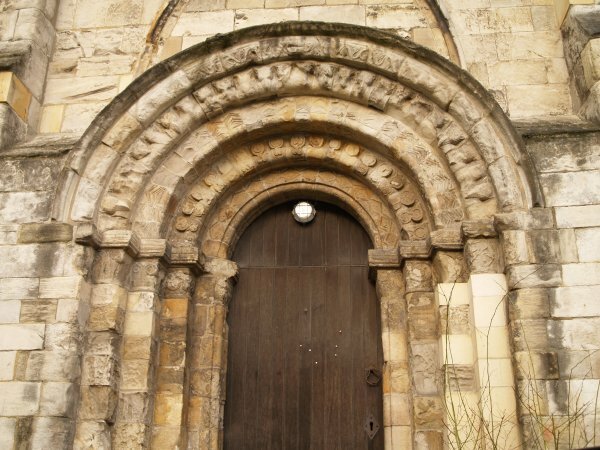 The wonderful multi-layered Norman south doorway of St Denys. 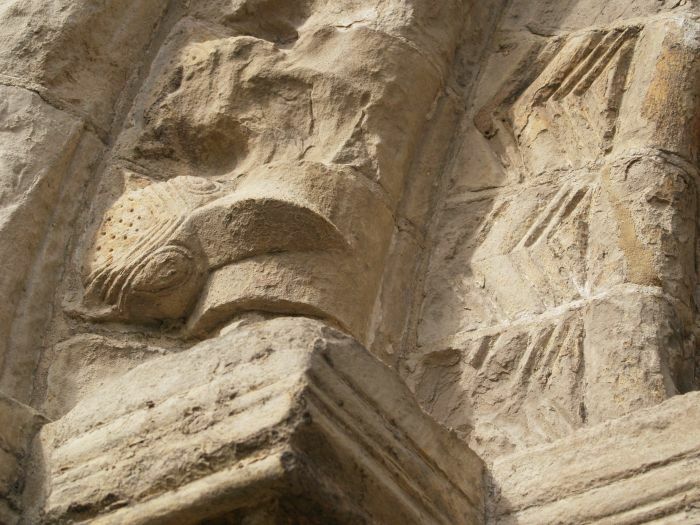 Details of the top layered carvings of the south door of St Denys with beak heads or raven heads and all sorts of other symbols. 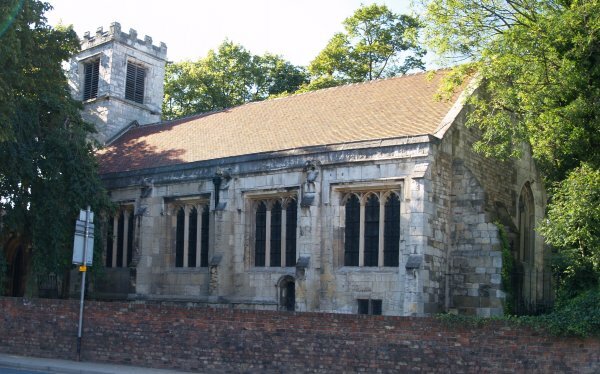 The medieval Bowes Morrell House in Walmgate, a 14th century timber-framed construction. 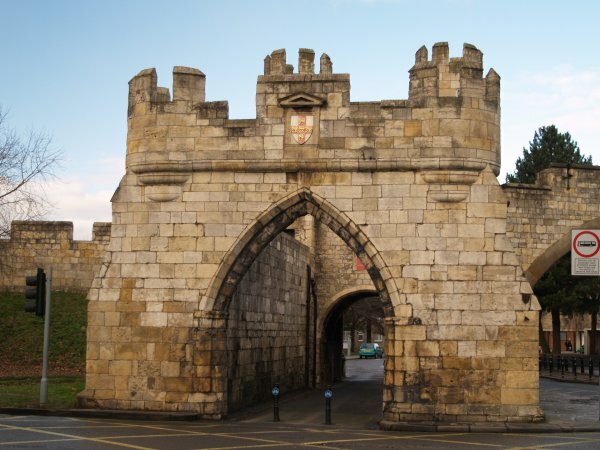 Walmgate Bar was probably built in the reign of Edward 1st and is unique in England because of the preserved barbican which was added in the reign of Edward III. 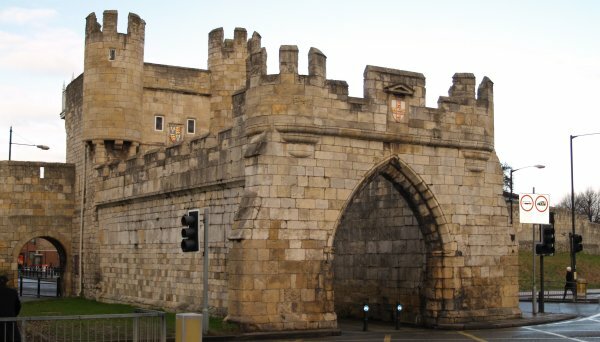 It guards the south-easterly approach to York and still retains its portcullis, 12th century archway, 15th century oak doors and a wicket gate for pedestrians. 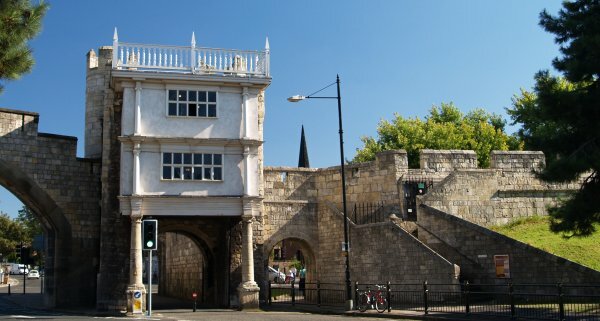 Looking east through Walmgate Bar into the barbican. 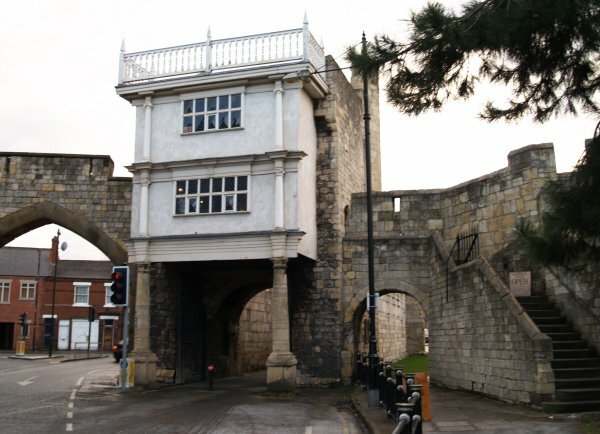 Walmgate Bar was badly damaged in 1648 in the Civil War but the wood and plaster house of the 16th century, once occupied by the gatekeeper, managed to survive. It is now a cafe! 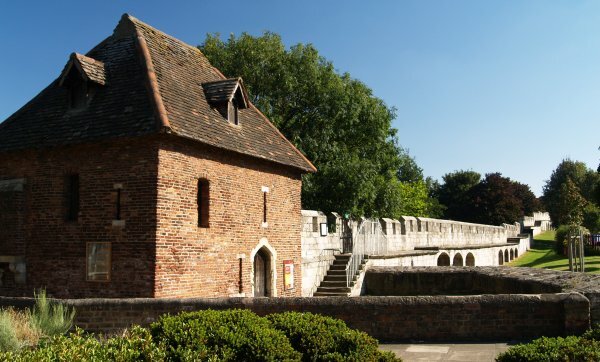 The external entrance to the well preserved barbican. 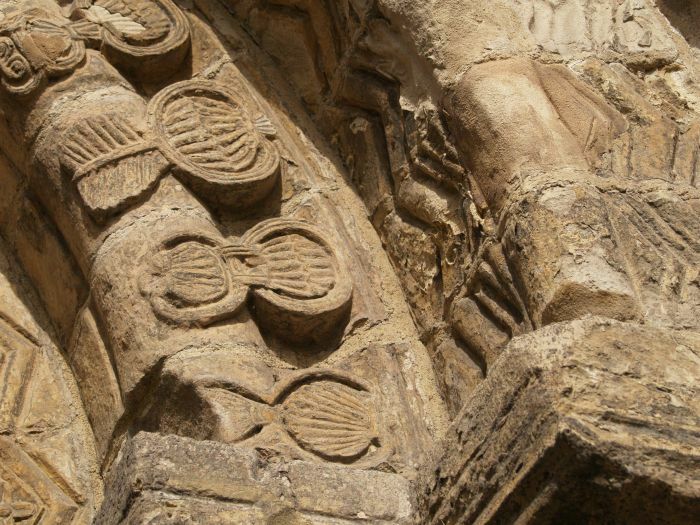 This massive stonework construction is impressive! 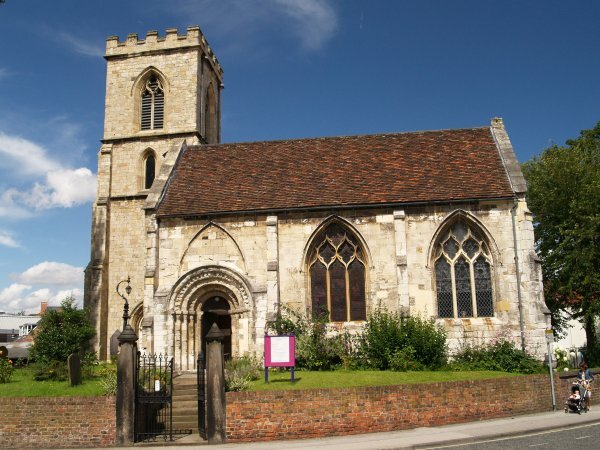 St Margaret's Church near Walmgate which is now the National Centre for Early Music (NCEM) from which York's Early Music Festivals are organised for the Summer and Christmas Seasons. 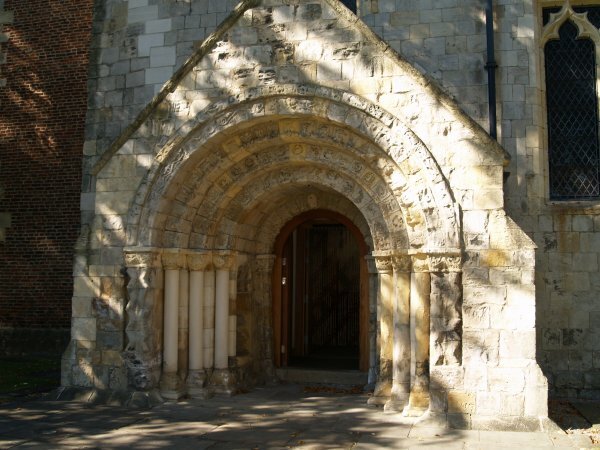 It was largely rebuilt in 1852 but the fine Norman south door archway is important. 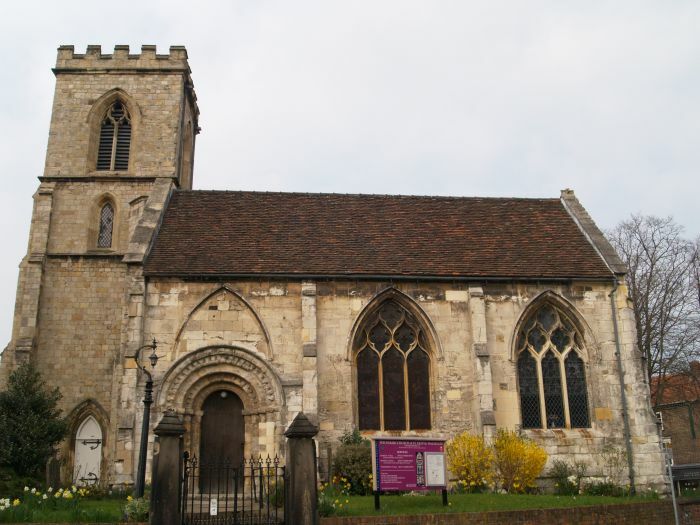 The east end of St Margaret's church. 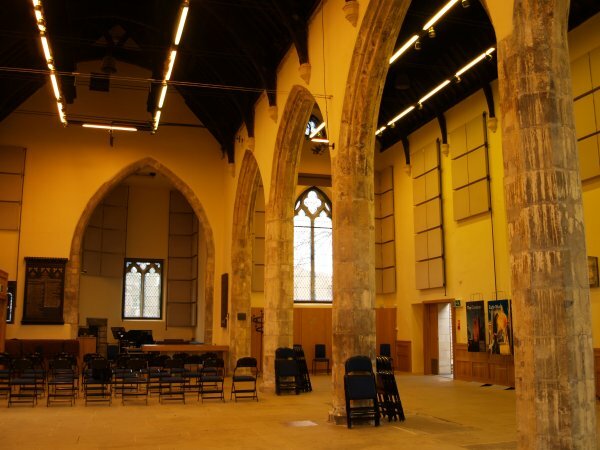 The main body of the church nave is now used as a concert performance area - quite an atmospheric location between the medieval arches of the nave. 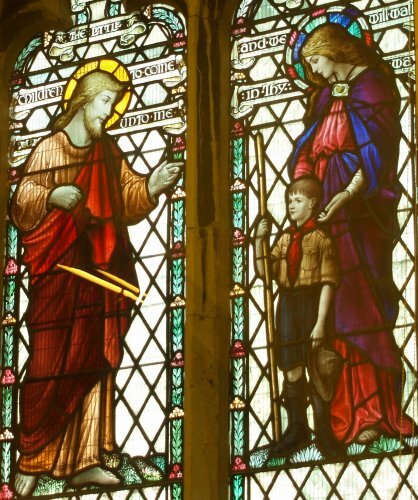 On the north wall is a stained glass window has an image of Christ on the left and on the right St Margaret commissioning a boy in scout uniform. 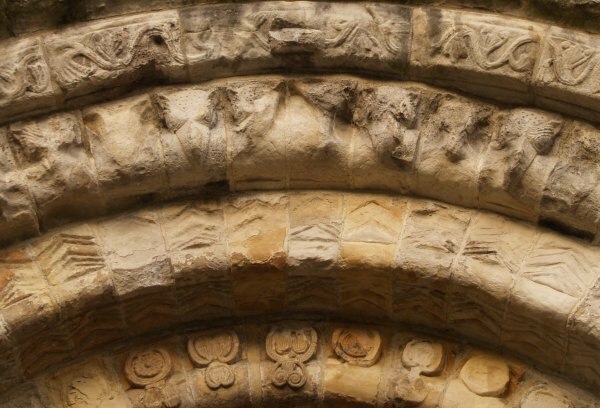 The southern Norman doorway, still impressive despite the erosion and some details of the carvings are shown below. 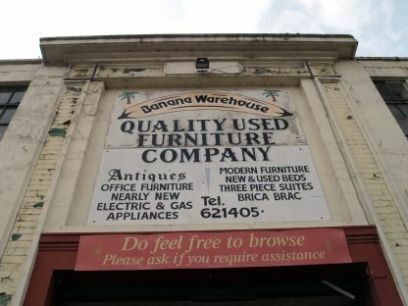 In Piccadilly is Dave Dee's Removals and the renowned Banana Warehouse second-hand furniture warehouse - and much else besides quality second-hand furniture. 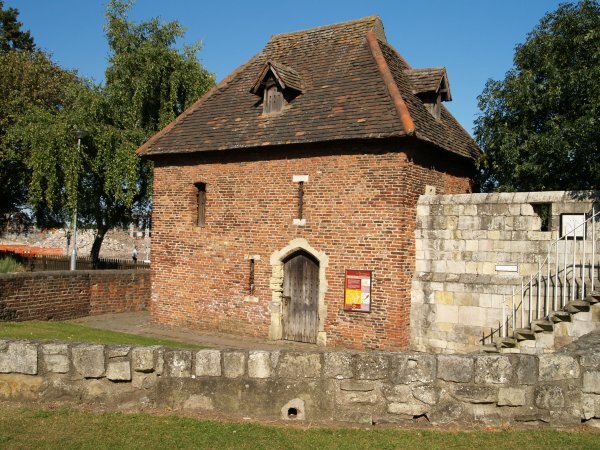 The Red Tower, Foss Islands Road, so called because of the colour of the bricks, lies at the northern end of the most eastern section of the city walls, north of Walmgate Bar. 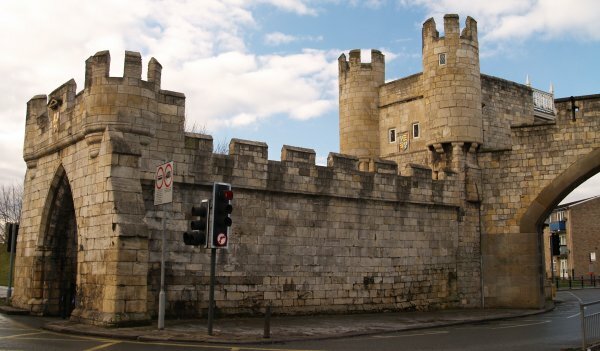 It was built in 1490 and is unique in York being wholly made of brick whereas the rest of the walls and towers are made of magnesian limestone from nearby Tadcastor. 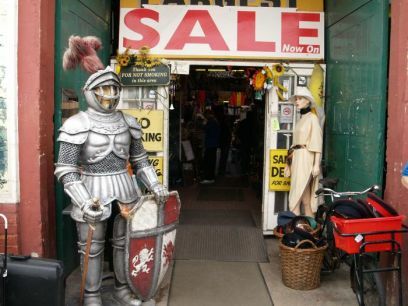 It was badly damaged in 1644 during a Civil War siege and has been used as a stable and gunpowder store. 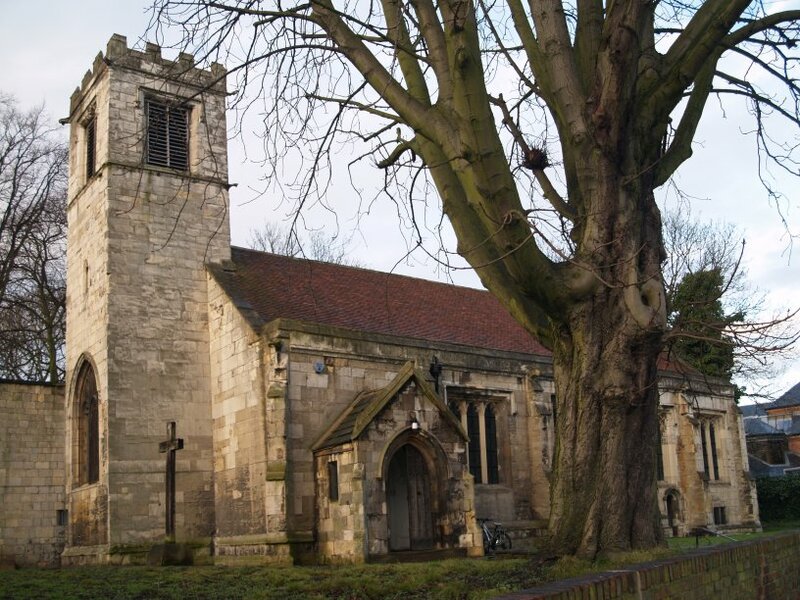 The redundant, and sad looking neglected medieval Church of St Cuthbert's lies on the north side of The Stonebow in Peasholme Green. 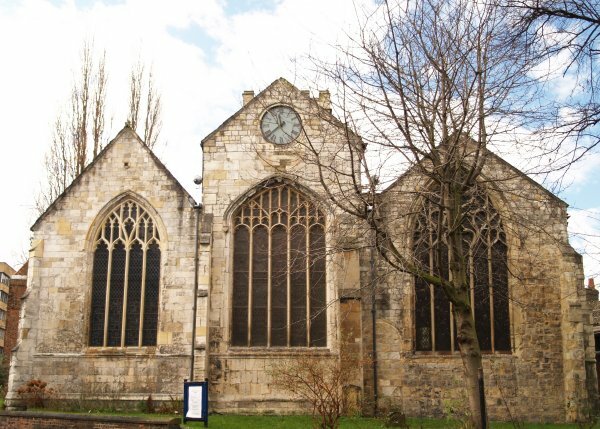 Apart from the Minster, this is the 2nd earliest known church in York and mentioned in the Domesday Book. 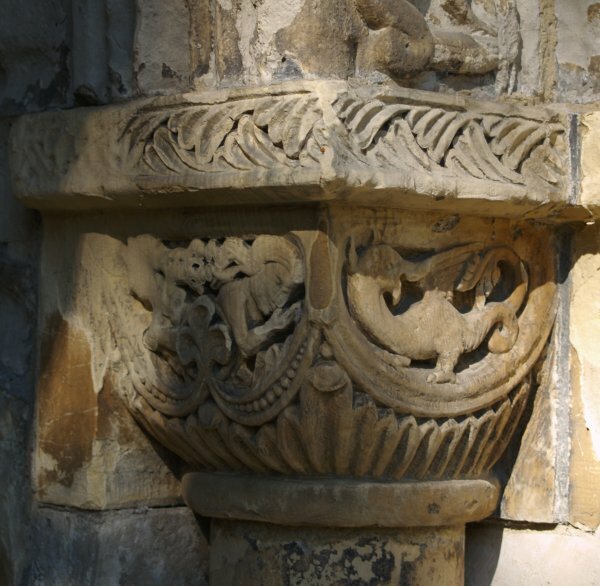 Roman stone is found in the fabric of the building and most of what you see dates from the 15th century built on earlier Norman and Saxon foundations. 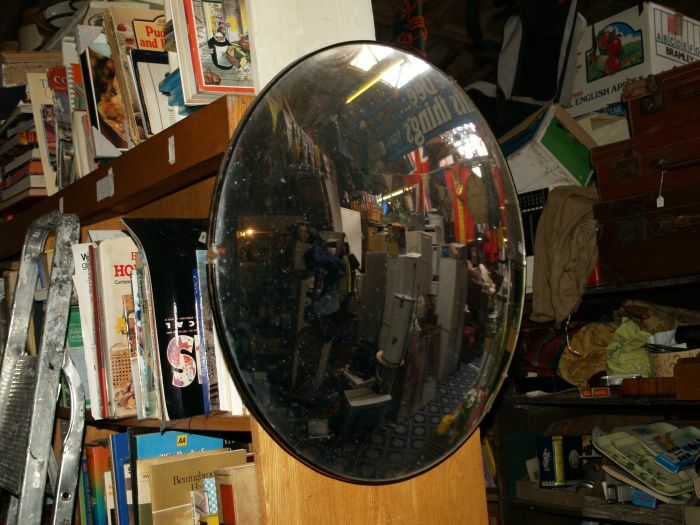 The external features e.g. 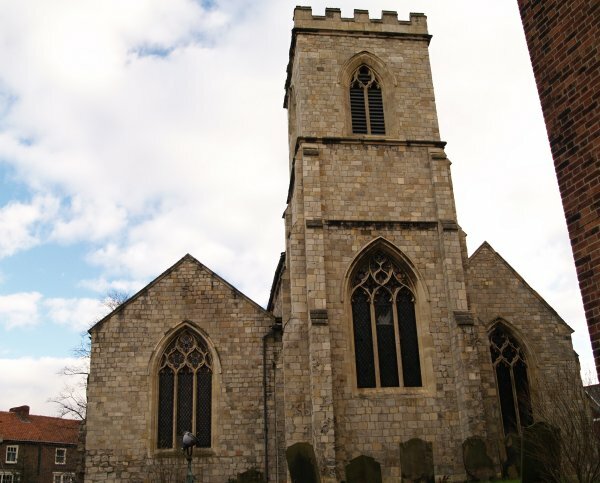 the windows and west tower are Perpendicular style. Heading up towards the Stonebow in Peasholme Green on the left is The Black Swan Inn. 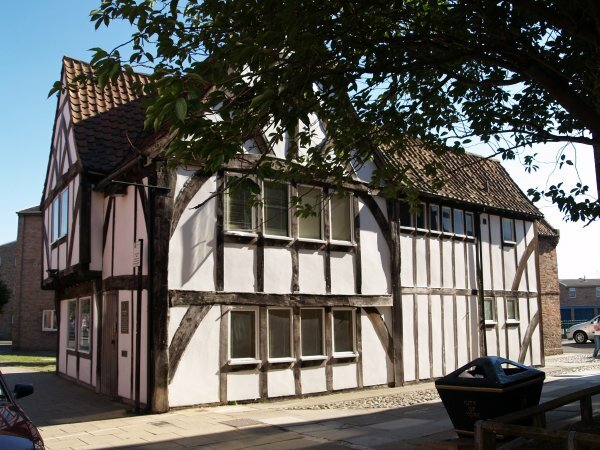 This is medieval timber-framed building was once the home of the wealthy merchant William Bowes who was elected Sheriff of York in 1402 and Lord Mayor in 1417 and 1428. 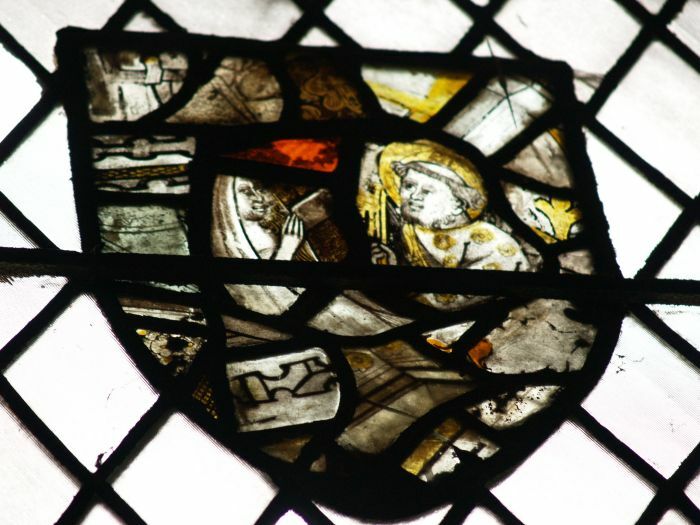 In the 16th century Sir Martin Bowes was twice elected Lord Mayor of London and goldsmith to Queen Elizabeth I. 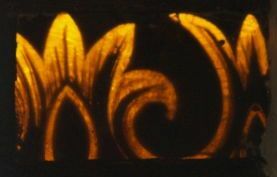 The parents of the military General Wolfe (famously served in Canada) lived there between 1724 and 1726. 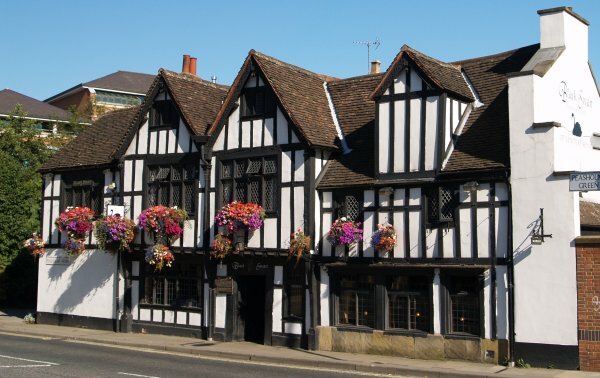 The 'pub' was also an important coaching inn. On the corner with Aldwark stands St Anthony's Hall, ancient hall of St Anthony which was founded in 1418 and dissolved in 1627. 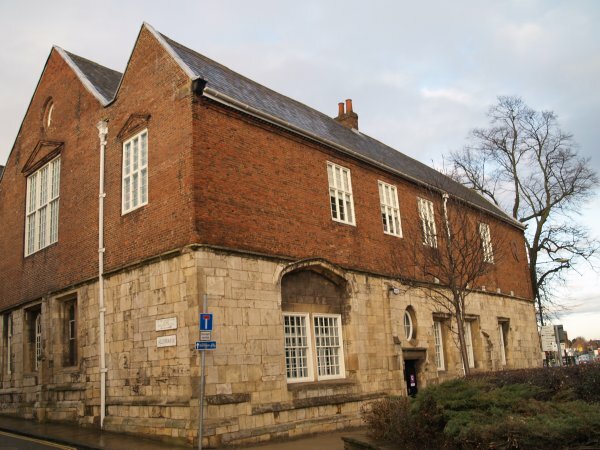 From 1705 to 1946 it housed the York Bluecoat School Boys' School. 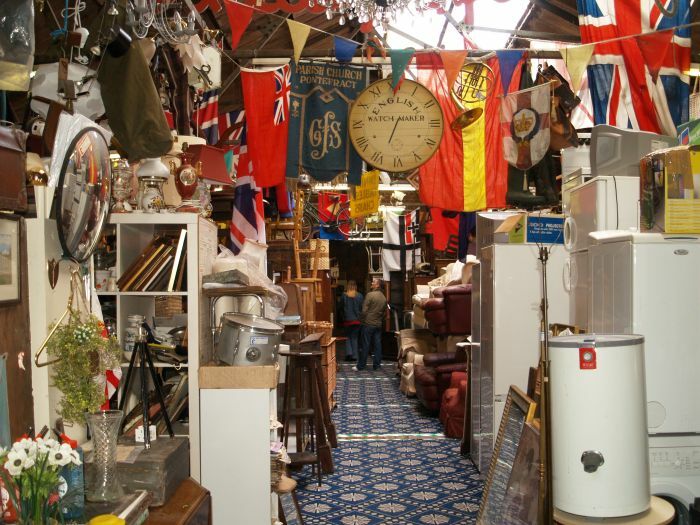 It now contains the Quilt Museum and Gallery.